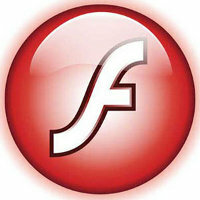 Adobe has finally taken the step to introduce Adobe Flash Player 10.1 to their mobile platform partners. This was specially redesigned from the ground up and not based off a previous version, delivering new performance and mobile specific features. In other words, Flash Player 10.1 is the first release which is touted to offer the full Web experience across desktops and mobile devices. Mobile users can now take advantage of the millions of sites that offer rich applications and content within the browser such as games, animations, rich Internet applications (RIAs), data presentations and visualizations, ecommerce, music, video and audio among others. Adobe hopes that Flash Player 10.1 will see over three million Flash designers and developers team up to unleash their creativity on the world of smart phones, tablets, netbooks, televisions and other consumer electronics devices. Currently, it is one of the top free apps on Android Market, and will also be made available as a final production release for smart phones and tablets once users make the jump to the Android 2.2 “FroYo” update – of course, this depends a whole lot on various carriers elsewhere since many carriers haven’t yet made the jump, with most Android devices still stuck on version 2.1 at the moment. At least we know the Dell Streak, Google Nexus One, HTC Evo, HTC Desire, HTC Incredible, DROID by Motorola, Motorola Milestone, Samsung Galaxy S and others will support Flash Player 10.1, and it will also work on BlackBerry, webOS, future versions of Windows Phone, LiMo, MeeGo and Symbian OS-powered devices as well in the form of over-the-air downloads or being pre-installed in the months to come. As for the desktop version of Flash Player 10.1 for Windows, Mac OS and Linux, you can always check it out here. Depending on the device and the device manufacturer, the upgrade mechanism will be different. I think that Adobe is getting the point with the new Flash Player 10.1 however, how will this support the 64-bits operating system other are using… If the web browser are catching up why cant Adobe do the same like wise?